I may or may not have a freezer hoarding problem. It would depend on who you ask. But I’m 90% sure if you ask anyone I’ve ever lived with they’d say “yes, yes she does”. More often than not I can’t buy anything in the freezer section at the grocery store unless it’s in a malleable package which will fit in a nook or cranny. But even that’s questionable… Perhaps a therapist could help me figure out why! I mean, it’s not like it would sustain us in an emergency since it would melt after a day or so. I seriously cannot explain it! But it is a fact of my life and now I’m in a bit of a pickle. We will be moving soon and we don’t own big enough ice chests to hold it all. Not to mention we don’t exactly have a place to move just yet. That’s where the pickle part comes in. 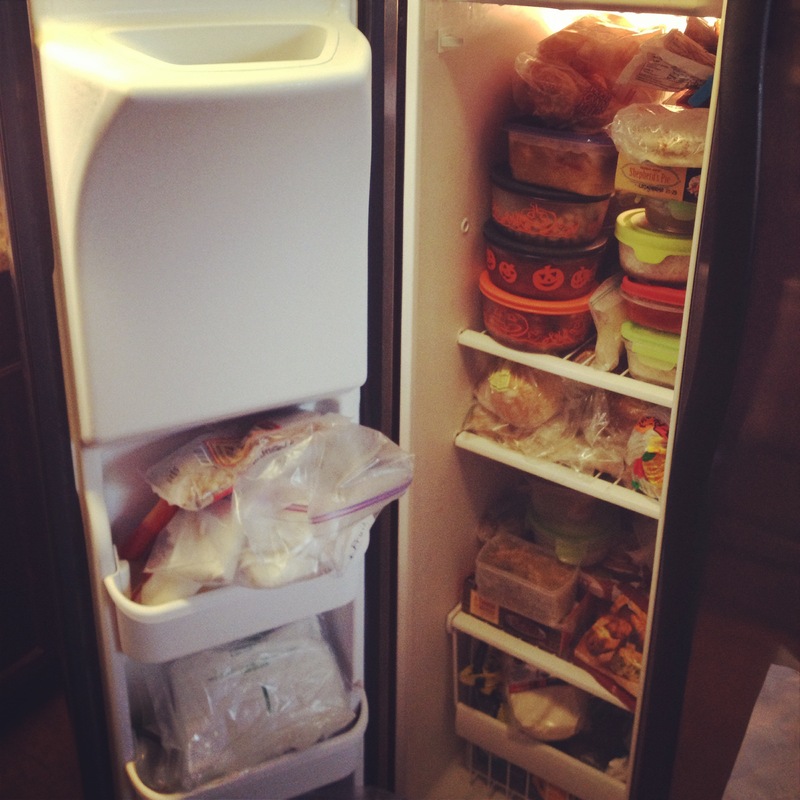 Since I don’t know where we’ll be living, I don’t know what will happen to my freezer full of food!!! I was telling a friend about it last week and she looked at me and said “why don’t you eat it?” Duhhhhhhhhhhhhhhhhhhhhhhhhhh… right! OF COURSE!!! Hahaha!! Seriously. I’ve. got. issues. 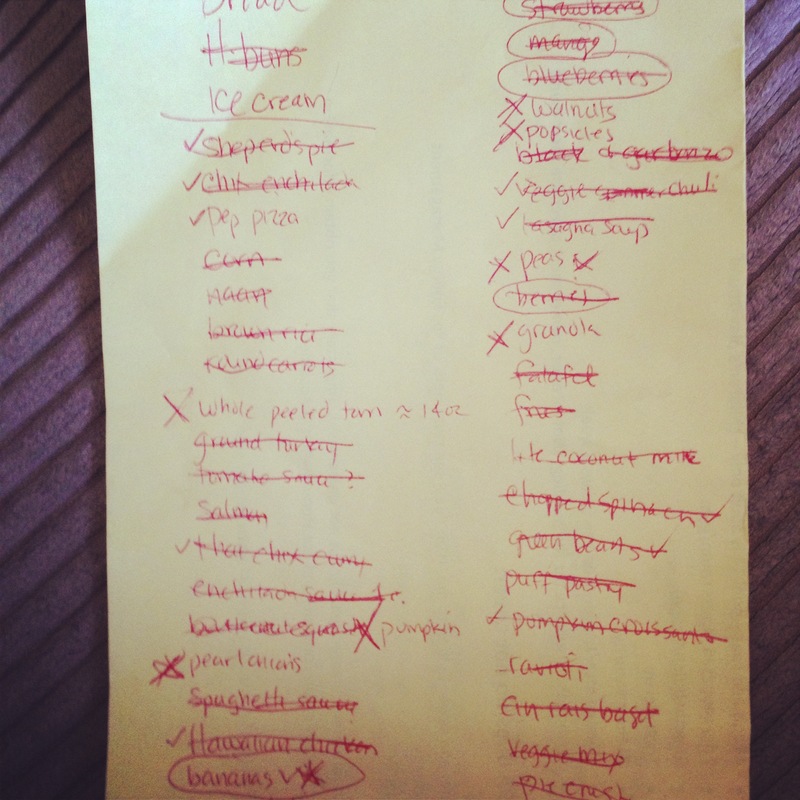 So the next morning when it was cool-ish, I went through the freezer and wrote down everything that was in there. Then I went to www.plantoeat.com and planned out our meals, according to the freezer, for (almost) three weeks! Yes, I said three weeks. I told you I had a problem! Why write a post about it? It was my mom’s idea actually. She thought it could help others, especially in the time of a low budget week. Cause let me tell you, my grocery list was very short! It’s time to get creative! So that’s what we’ve had so far to help clean out the freezer. Unfortunately it isn’t enough to see a dent in the freezer big enough to feel accomplished, but we are getting there! Stay tuned for more freezer hoarding updates!